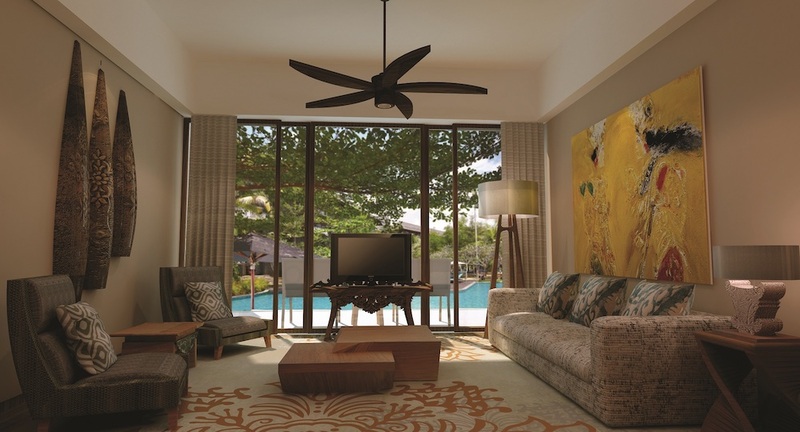 Interval International has announced a new addition to its global network – Marriott’s Bali Nusa Dua Gardens, a stunning tropical retreat on the Indonesian island of Bali. Fifty-one spacious resort apartments, which range from studios to one- and two- bedroom guestrooms, include separate living and dining area, complimentary Wi-Fi, kitchenette, private balcony, deluxe pillowtop mattresses, and much more. The resort shares amenities and activities with the adjacent Courtyard by Marriott Bali Nusa Dua resort, which offers several dining venues, fitness center, luxury spa, Kids Club, outdoor pool and whirlpool, children’s pool, daily activities program, and access to a beach club at beautiful Nusa Dua Beach. A peninsula in the southern region of Bali, Nusa Dua is home to glorious, white- sand beaches with calm waters perfect for swimming and relaxing and is surrounded by spectacular mountain scenery. In addition to the tranquil setting, guests can enjoy various cultural and natural attractions. Just a short distance from Nusa Dua, visitors can experience the hand-crafted goods at the Ubud Art Market, the Kecak Fire Dance at Uluwatu Temple, the famous Tegallalang rice terraces, and the Garuda Wisnu Kencana Cultural Park.